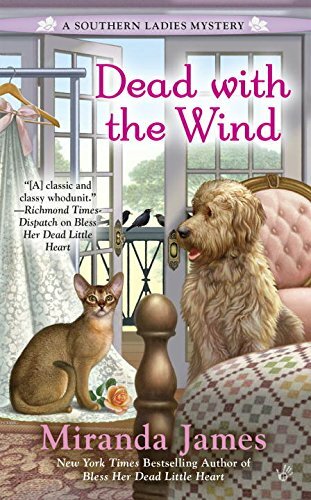 Dead with the Wind sounds like a fun and exciting book! I am looking forward to reading it. Thank you for the chance to win. This sounds like a great book! We hope we win for Mommy! Thanks, Melissa! I am SO looking forward to reading this! Sounds like a good read and the cover is adorable. I love Southern mysteries. The way talk, the sayings all leads to fun. A bride over a balcony is a new way to die. I really want to read this. Adding to my TBR section. Do the animals get involved? My local library carries Miranda James books!! I've got the one you featured on hold - its on order and there are 9 people ahead of me so it will be awhile. In the meantime, I put two other ones on hold and hopefully will pick them up soon. I can't wait to read them!! This sounds like a great mystery! I'm glad that there are no annoying bridezillas. That drives me nuts too. What a great post. I am looking forward to reading more about this delightful sounding southern ladies! Thanks! Sounds like a fun and interesting book! We are curious as to what happened now! Love the cover too! Gweat review bootyful. Sounds very innewestin'. Have a gweat day. Is that Summer on the cover? Recently started reading this author and love her books. Will be reading this one!!! I loved the first one and I am looking forword to visiting the Sisters again. Yay! I'm ready for another in this series! Oh, I would so love to win this new book. I just love everything Miranda James writes. 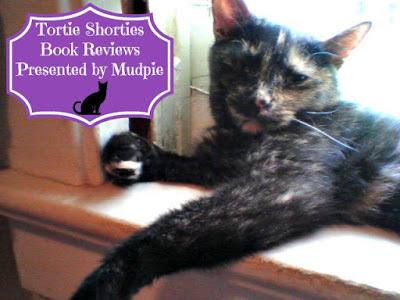 AND I love the Tortie Shorties and Mudpie. My Tortie is named Zelda and looks just like Mudpie!